We are pleased to present filmmaker and activist Anna Mumford at the Shifting Communities Roundtable as part of No Longer Empty's "What's Cooking in the Bronx?" at the Andrew Freedman Home located at 1125 Grand Concourse in the Bronx. 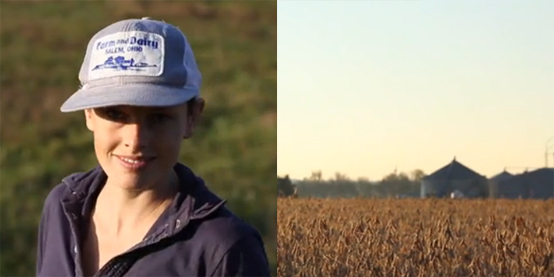 Anna Mumford will screen her short film “Mumford Farms” about her family’s working produce farm in Indiana. Afterwards, she will discuss her production company Letita Productions, her documentary work on urban farming, and community food initiatives underway in Red Hook, Brooklyn. Anna Mumford founded Letitia Productions after working for a decade in strategic communications for labor unions and political candidates. Using the storytelling power of video, Anna produces, shoots and edits online video content for advocacy campaigns. She received both her master's and undergraduate degrees from Stanford University.